Many factors keep Southern Bleacher products at the top of the industry. Some are apparent just by looking at them, like end-caps that safely cover rough edges of benches and decking and internal fittings on guard rails for a no-snag finish. They&apos;re small details that add up to big differences in quality and spectator experience, but it&apos;s the details you don&apos;t recognize right away that really make the difference. 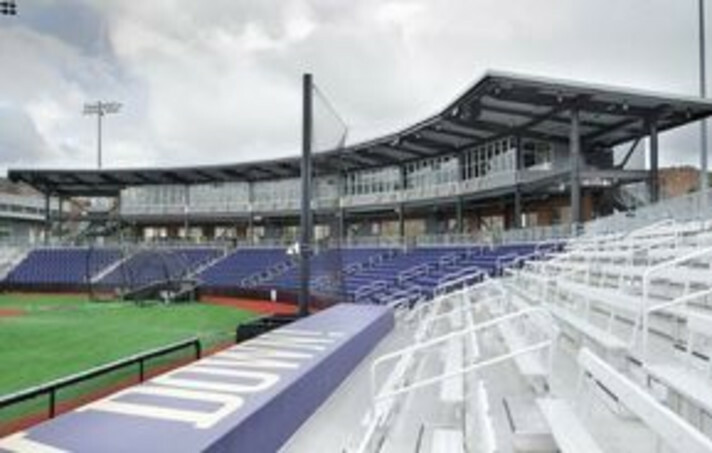 Be sure to take a look at our products which include but are not limited to stadium seating, support structures, decking systems, rail systems, coatings and more. Safety is something we refuse to compromise. Our products meet or exceed safety requirements across the board, but we also apply common sense. We know, for example, that while fans aren&apos;t supposed to stand on seats, they do it all the time. And for that reason, we won&apos;t sell seating unsafe to stand on, no matter how it might look or feel. It&apos;s not good for you, and it&apos;s definitely not good for the fans at your games. When it comes to backing our durability, we offer the best warranty in the industry because we know our products last. When we introduce innovations, like our fluid-controlling Interlock 2000+ decking or our weather-resistant Dur-Kyn paint, it&apos;s only after repeated and extensive testing and abuse. With Southern Bleacher, you won&apos;t get some new design every year. What you do get is a bleacher made to last and perfected over three generations. Like any company, our products get better over time. We just don&apos;t make our customers our testing grounds.